I extracted the study area polygon using raster to polygon tool in ArcGIS from a binary raster mask. 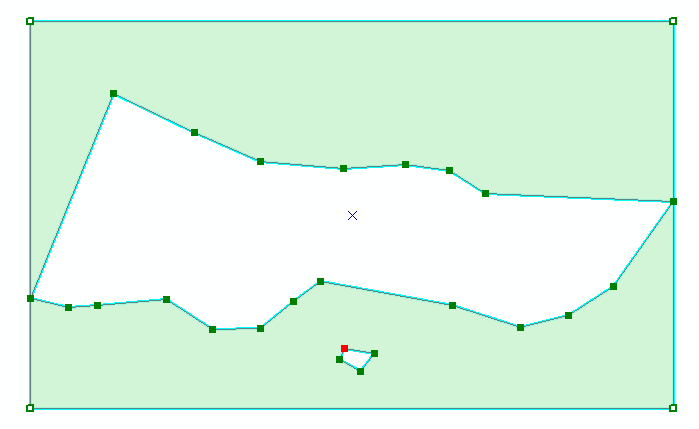 However, I can only extract a polygon with fills outside of my study area. I tried using editor tool to draw along the needed area, but fail to plot precisely as extracted. 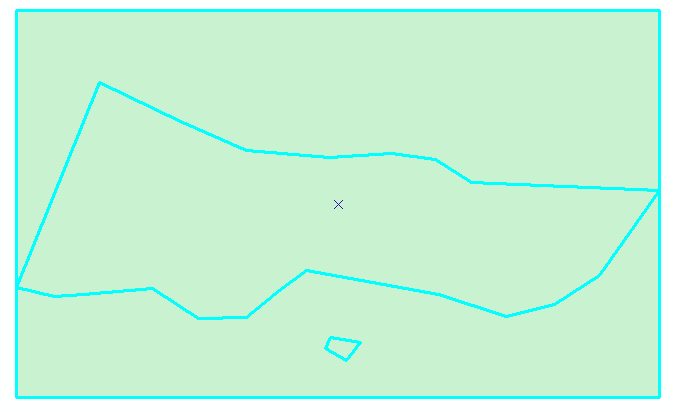 Is there any way to invert the polygon values so that it could be used as a mask for the central area? Like @Vince suggested, you could draw a rectangle and use the Erase tool if your license level allows it. 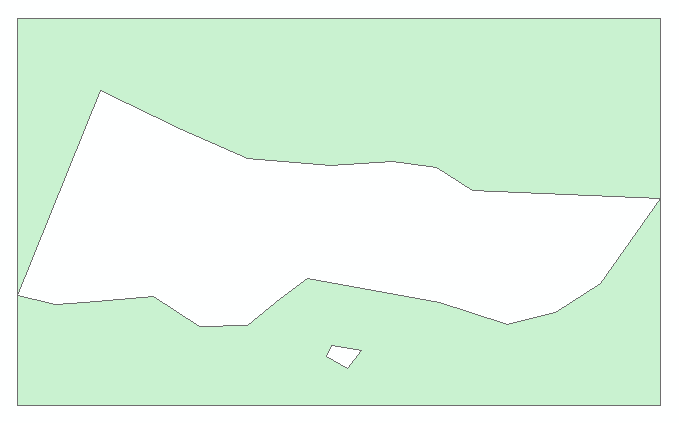 Or, draw a rectangle of the same extent and perform a Union analysis and select the polygon in the middle (including the little islands). Choose "Discard the area that intersects." Another way you could do it would be to edit the vertices of your polygon and delete the four outer corners. This will give you the inverse polygon. Note, this might not always work, but it worked for this example. 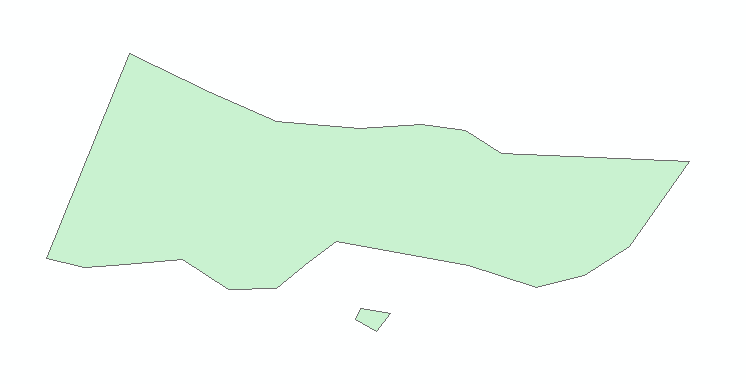 Making Shaded Area Polygon from HILLSHADE raster in ArcGIS Desktop? Extract by Mask giving ERROR 999999 in ArcGIS Desktop? 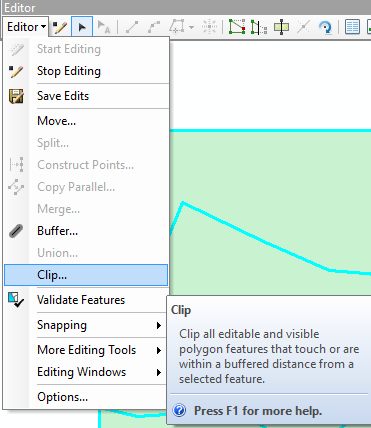 Extracting multiple raster data to point shapefile in ArcGIS ModelBuilder? 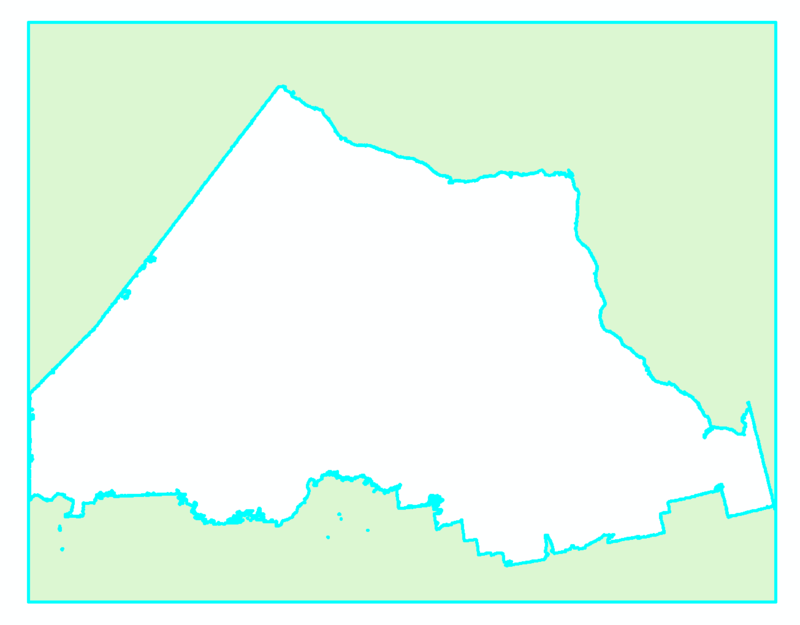 Removing black box outside clipped raster layer using ArcGIS Desktop?